Volume 3, No. 1 of the VNJ is now available to Members through the NAV Website Member Page. In this edition Monica provides another historical article, this time on the first Viking King of England, Sweyn Forkbeard. There’s also a look at the Melbourne City Council’s numismatic collection and at a time when we’re celebrating Royal Weddings we take a look back at the abdication of Edward VIII. 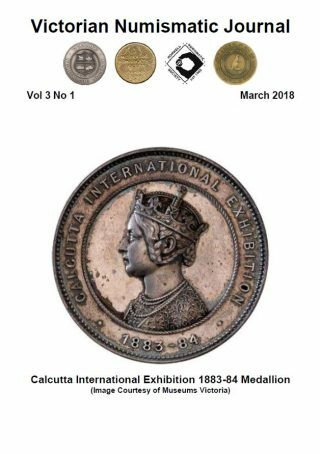 If you’re a member of the Melbourne Numismatic Society and don’t yet have acces to the NAV’s website and would like to access the VNJ online, then just email [email protected]. The VNJ now available online.